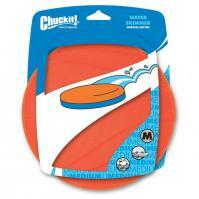 7.5" in diameter (similar to a soccer ball). 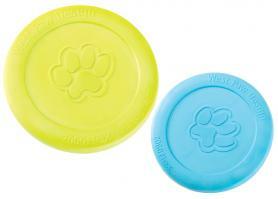 Ridges and grooves make it easy for your dog to pick up. We gave a Kick-Fetch to Coal for a Christmas present. For a solid 6 months, he wouldn't go anywhere without it. When we would load up the car, he would run around frantically and whine until he got his Kick Fetch. Then he would calmly hop up into the car. It was problematic inasmuch as he would try to bring it into the Vets office and the shop. 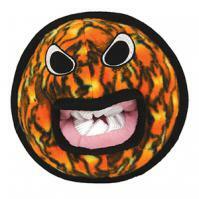 But our motto is "A happy Coal is the best Coal" and we suffered it as best we could. 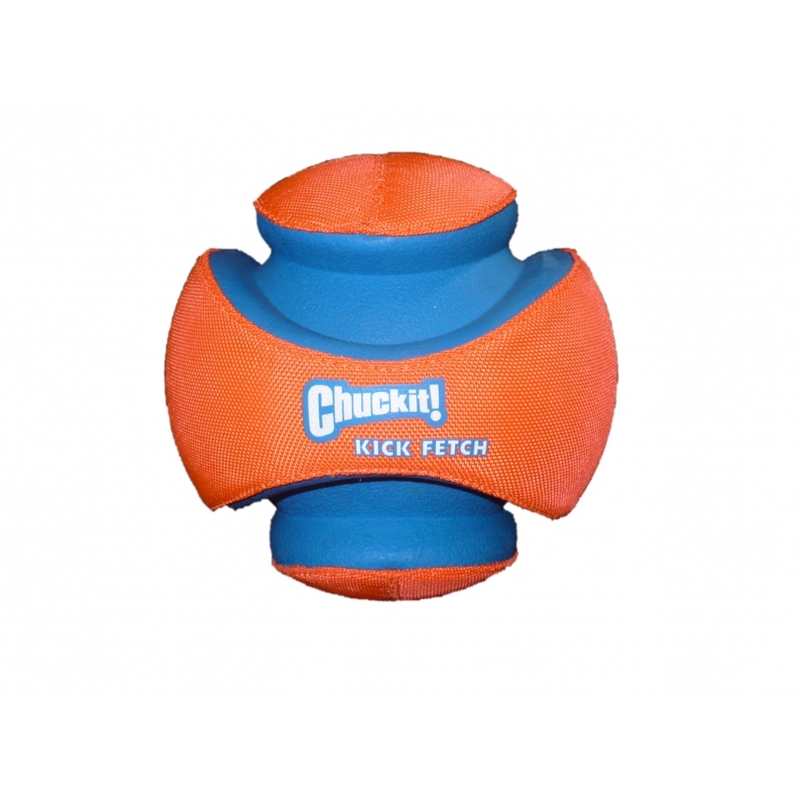 This is a rugged little fetch toy, but you will want to make it clear to your dog that this is a FETCH toy and not a CHEW toy. It will last much longer. And your dog will thank you for that. 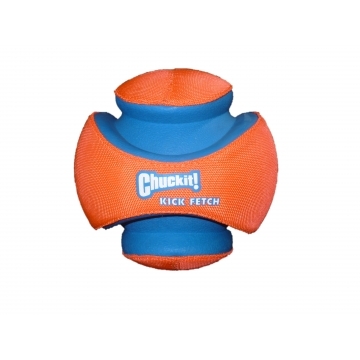 For more information on Kick Fetch and to see one in action, Click Here.